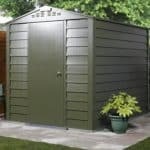 This 7.5 x 6.1 metal garden shed has plenty of room inside to store large equipment as well as any of the tools you use in the garden. 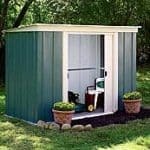 The shed has sliding double doors that allow for easy access to the building. 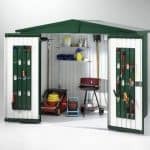 High gables help to create the spacious and airy feel that the shed enjoys. 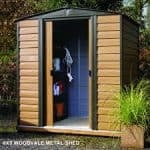 The shed is built with strong metal that has metal cladding alongside it. 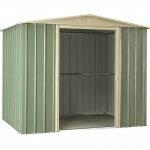 The roof panels are translucent and help to bring a light and airy feel to the building. 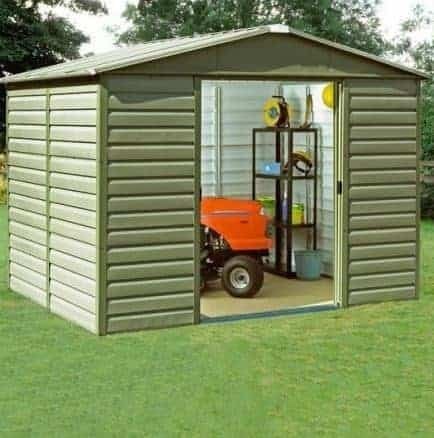 Easy to assemble and also comes with a 10 year anti-rust guarantee.